Video: Hiring a Private Investigator FAQ What our clients have to say…. What do private investigators say about cheating spouses and infidelity? When you suspect infidelity in your relationship it can be difficult to determine whether or not your suspicions are valid and if so, what to do next. A network of infidelity investigators was surveyed to find out what, in their experience, are the common indications of infidelity in a relationship. 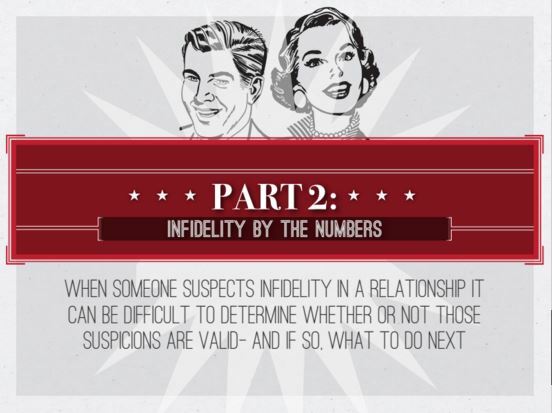 The following video discusses infidelity by the numbers and who cheats.